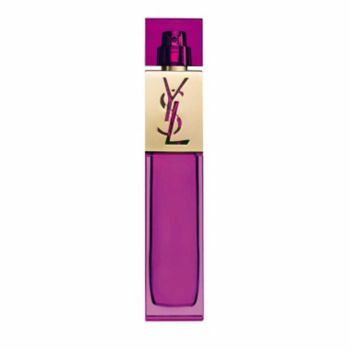 Unpredictable and unique, elle is the essence of Yves Saint Laurent femininity. Her bottle celebrates the prestigious, interlaced monogram, cut from metal the color of gold, highlighted with vibrant, luminous legendary fuchsia, vibrant and luminous. Her fragrance is unique and unexpected. An ultra contemporary creation, fluid and unrestrained. A vibrantly feminine and audacious fragrance that blends dazzling woody and floral notes.